Behold the Bears for 2017! Well dressed and ready to "Get on the Bus," a program that offers free transportation to children visiting their parents in prison. 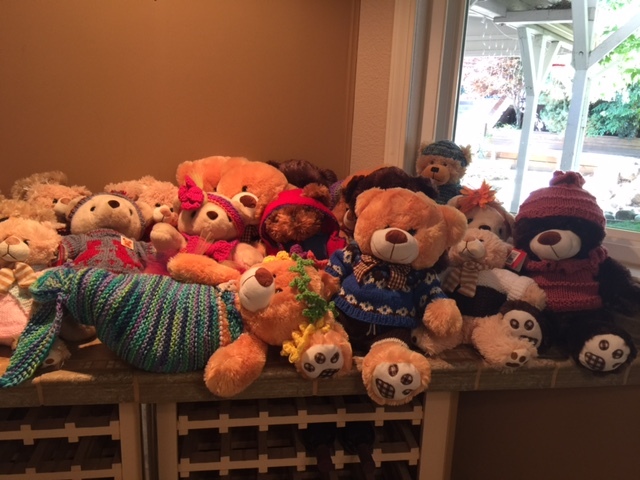 We help out by providing the kids' bears and our own Cindi (and her army of savage knitters) outfit the bears with clothes for the ride - helping to keep families connected, one stitch at a time.